Twelve pop duets including: Sailing, Go West, Lemon Tree, Everything I Do and more. Roland Kernen bearbeitete den legendären Titelsong für Rocky III von der Gruppe Survivor für Blechbläserquintett mit optionaler Euphoniumstimme. We will send you the download link to your product via e-mail within 3 working days. Available as download! 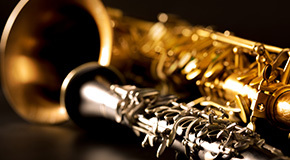 Whether pure or mixed - here you will find a large selection of playing material for pure woodwind ensembles such as classical wind quintet and brass ensembles such as trombone and mixed ensembles with up to 6 or more players from classical, church music, Christmas and festive music, jazz, Latin, folk, pop, rock, musicals and film.